Four residents from Goole have been ordered to pay a joint total of £3,582 for dumping rubbish in the back alleys behind their homes. The prosecutions are the latest brought by East Riding of Yorkshire Council as part of an on-going crackdown on rubbish and fly-tipping in Goole’s back lanes. Streetscene enforcement officers are taking action to encourage residents to dispose of their rubbish legally and responsibly in their household bins or at local recycling sites instead of littering the streets and expecting the council to clean it up. Sandra Kleina of Gordon Street, Goole, was found guilty of the unauthorised dumping of waste at the rear of Gordon Street. Miss Kleina was fined £660 and was ordered to pay costs of £654 and a victim surcharge of £66. 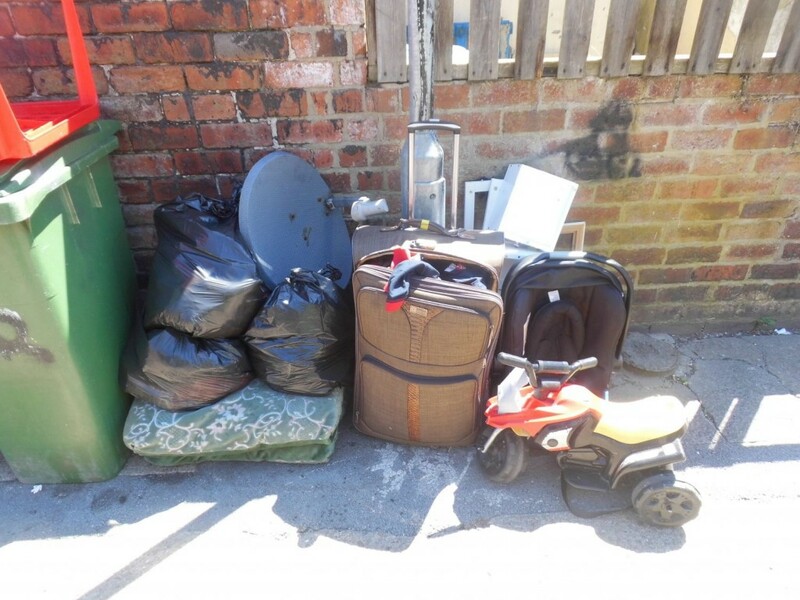 Suitcases full of clothes, sofa cushions, a satellite dish, toys and bags of waste were found by an officer next to bins in the lane behind Gordon Street on 26 June this year. Evidence was found at the scene relating to Miss Kleina, who admitted to the council she had put the bags of rubbish and sofa cushions out in the lane, but said not all the rubbish was hers. 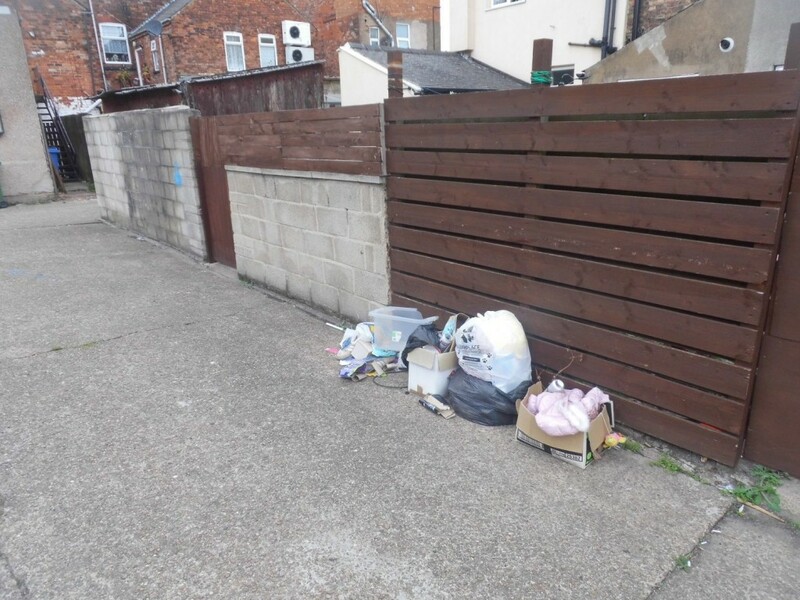 Isabella Cooper of Adeline Street, Goole, was found guilty of the unauthorised dumping of waste at the rear of Adeline Street. Miss Cooper was fined £660 and was ordered to pay £626 costs and a victim surcharge of £66. 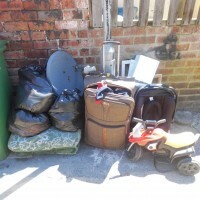 Following a report of fly-tipping, a streetscene enforcement officer from the council found six black bags full of garden, food and household waste in the alley behind Miss Cooper’s address in Adeline Street on 4 July this year. Evidence was found relating to Miss Cooper, who admitted to the council she had put the black bags in the alley behind her home. 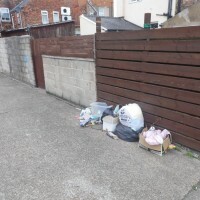 Amy Beech and Christopher Spencer, of Fourth Avenue, Goole, did not attend the hearing but contacted the court to plead guilty to the unauthorised dumping of waste at the rear of Fourth Avenue. Miss Beech and Mr Spencer were each fined £120 and each ordered to pay £275 costs and £30 victim surcharges. 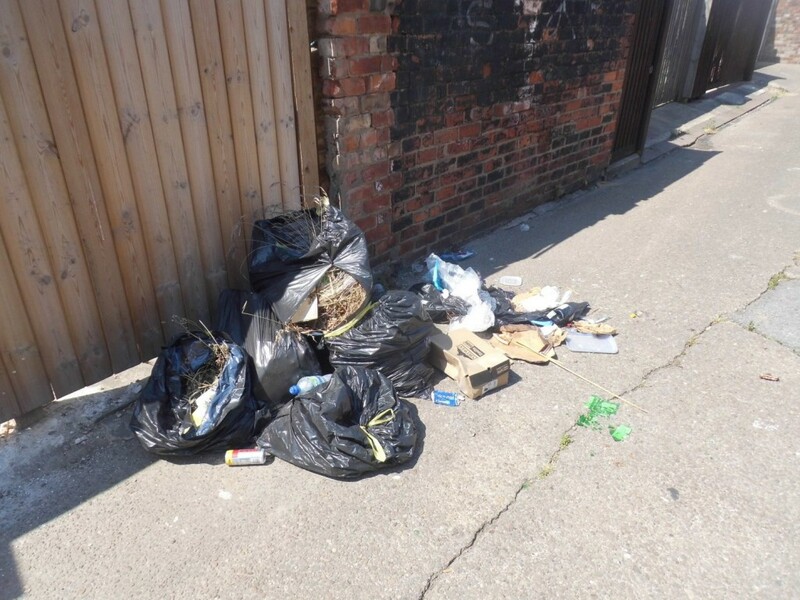 Following a report of fly-tipping, an officer visited the lane behind Fourth Avenue on 4 September this year and found cardboard boxes of paperwork, clothing and household waste had been dumped. Evidence was found relating to both Miss Beech and Mr Spencer, but they failed to respond when the council tried to contact them. The council’s streetscene enforcement officers launched an on-going campaign in Goole in autumn 2017 to clamp down on the problem of fly-tipping in some residential areas of the town centre. This year officers have visited more than 800 homes to speak to residents about the problems and encouraged them to dispose of rubbish in the correct way – by placing waste into their recycling bins or taking it to their local household waste recycling site (tip). Letters will also soon been sent to 1,300 properties highlighting the issue and asking residents to keep streets tidy, while warning signs have been placed in many of the back alleys in the town centre. Officers still patrol the areas worst affected by fly-tipping. 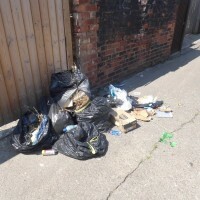 Paul Tripp, head of streetscene services at the council, said: “The majority of residents have been supportive of our campaign against fly-tipping in Goole and try to keep the streets tidy, but there are some who still flout the law and dump their rubbish. Anyone caught dumping rubbish or fly-tipping could be ordered to pay a £400 fixed penalty notice but, if unpaid, the issue will be taken to court where they could face an unlimited fine or even imprisonment. People are asked not to touch any fly-tipped waste or approach anyone they see fly-tipping. The council provides a service offering to take away bulky waste, which costs £30 for up to five items. The waste found dumped in the lane behind Fourth Avenue, Goole. The waste found dumped in the lane behind Adeline Street, Goole. The waste found dumped in the lane behind Gordon Street, Goole.